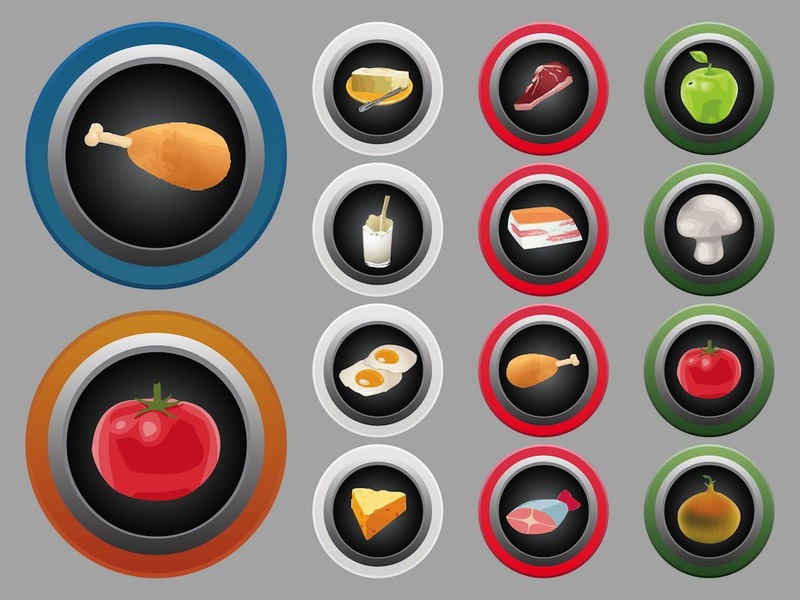 Icon collection of vector images of different kinds of food with gradient color round frames and metal shiny outlines. Various types of food images. Different kinds of meat, cheese, milk, butter, vegetables and eggs. Free vector image pack for all company logo, sticker, menu icons and cookbook design projects. Tags: Circles, Eating, Food, Products, Restaurant, Round.